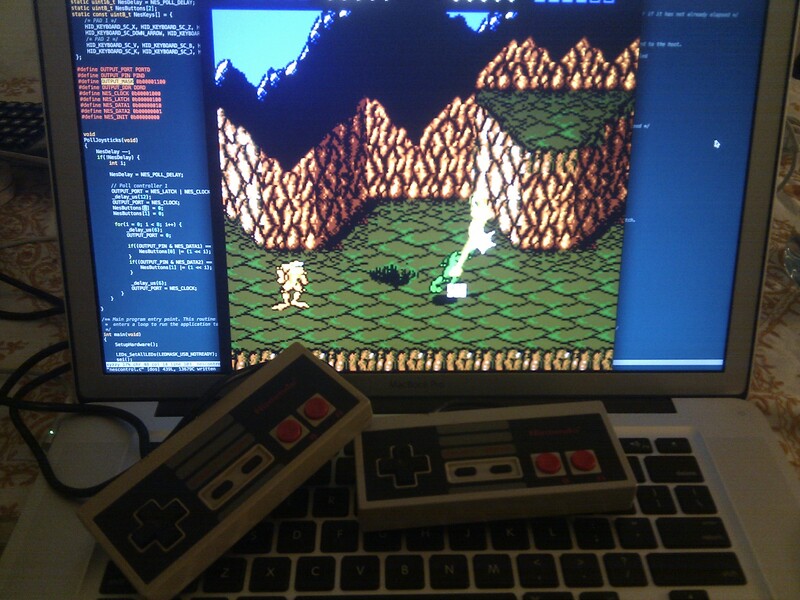 Tonight I made an adapter for my old NES control pads, so they would show up as USB devices on my computer. 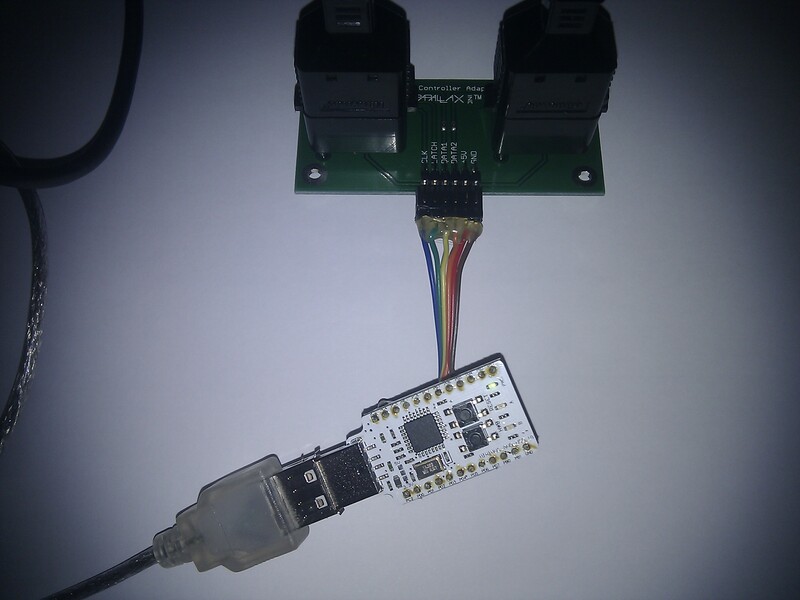 I used a MinimusAVR USB v1 and a NES adapter from Parallax. Source code is on Github: github.com/nfd/nes_adapter. To use, run make dfu in the normal way. Connect CLOCK to PORTD.3, LATCH to PORTD.2, DATA2 to PORTD.1, and DATA1 to PORTD.0. As usual, please email me with suggestions or questions.